Sofs is an amateur photographer who loves photographing nature. Gardening, like photography, is one of her passions. Dahlia flowers are stunning show-stoppers in any garden, and there are more than 270,000 varieties of dahlias that are available today. These hardy plants are not fussy and can be grown in any kind of soil. They are easy to care for and come in a variety of exotic colors and shapes. Dahlias can be grown from seeds as well as tubers, though I would consider it a safe bet to grow them from the tubers. These are annuals and will last from late spring to summer. 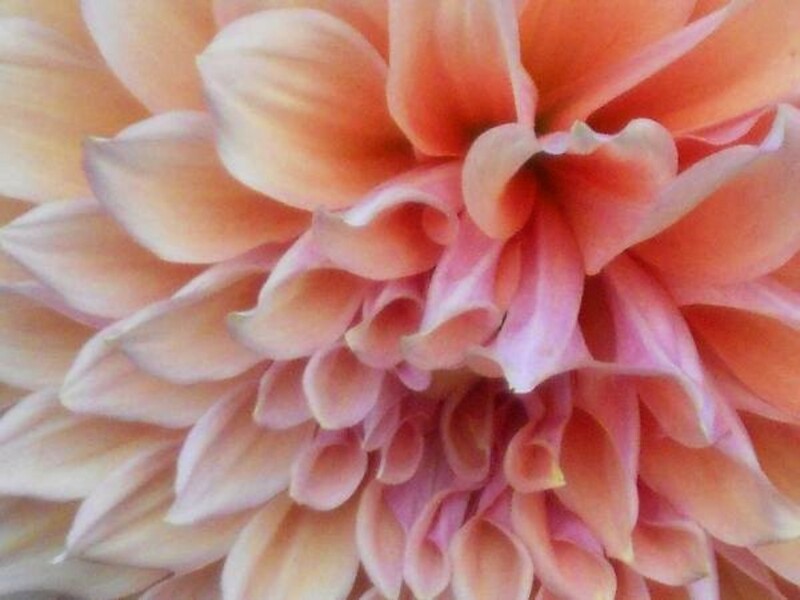 The dahlia flower is the photographer's delight. The textures and the rich colors make even ordinary photographers like me look like specialists. Though they make wonderful cut flowers and gifts, your gift could last longer if presented as a potted plant. 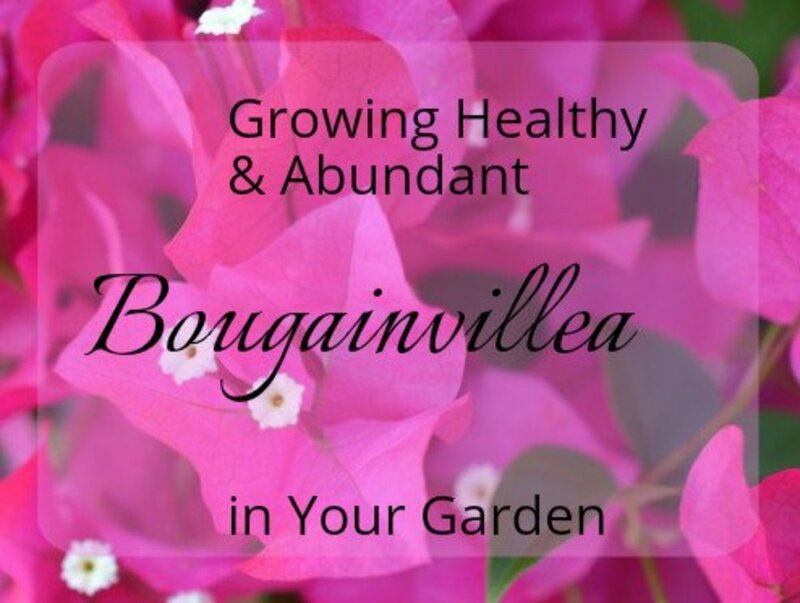 This guide will teach you how to grow and care for these wonderful plants. Any garden soil is good enough for dahlias. Add a little bit of fertilizer low in nitrogen into a pot of loam, moss, and sand, and you could grow dazzling dahlias that can be put the rest of your garden in the shade. Once the dahlias start blooming, even orchids have to take the second place. Dahlias need plenty of sunshine though, at least about five to six hours a day. Plant the tubers in the sunniest part of your garden. Here in the tropics, they bloom twice a year. Dahlias can be potted in mid-spring. The tubers should not be buried too deep in the soil. It would be sufficient to have them planted in holes that are 6 inches deep and covered lightly with loam and peat moss. 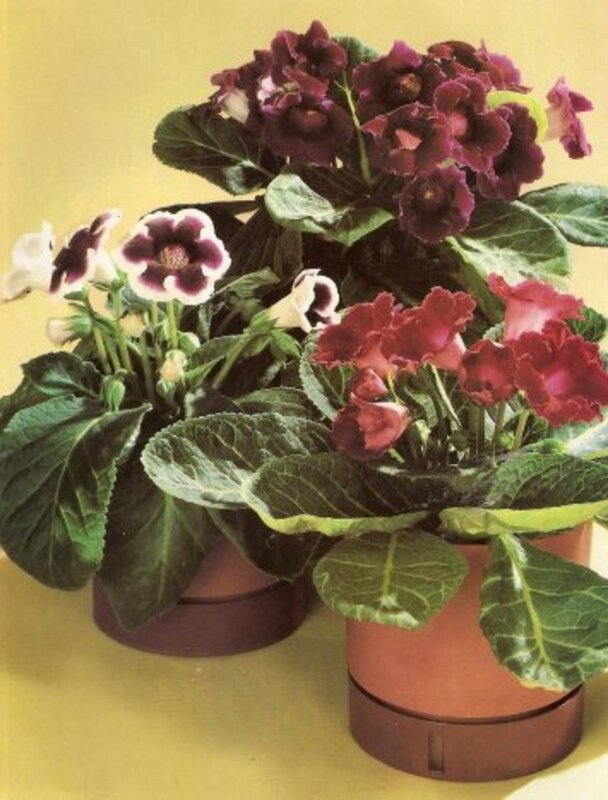 These plants are suitable for small spaces as well, as they can be grown in pots. If you grow them in your garden, make sure you space the tubers well, giving 12–18 inches between each plant. Some dahlias grow quite tall and need to be supported with stakes, make sure that the stakes are a good 6 inches away from the plant so that you do not hurt the tuber. Pinching off the head of the plant allows new shoots and buds to form. For gardeners who have space restrictions, the dwarf dahlias are a boon. These dwarfs are also suitable to be grown in large clumps and borders. Dahlias can be made to bloom all through the season by cutting off the dried flower heads and allowing the plant to branch out further. 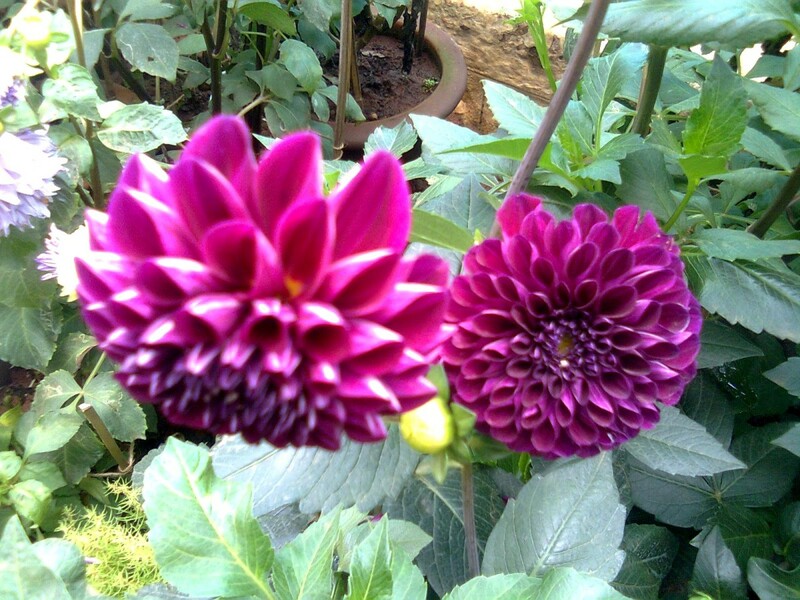 Watering them frequently—not allowing the soil to dry out too much between watering—helps the dahlia plants to thrive. When you harvest the flowers, make sure you cut close to the leaf joint. Cutting above the leaf joint encourages fresh growth and flowering. If you want a huge bloom, pinch away the side shoots and buds, allowing only a few huge blooms to develop. This way you will have a huge—perhaps even a dinner plate-sized—dahlia in your garden. 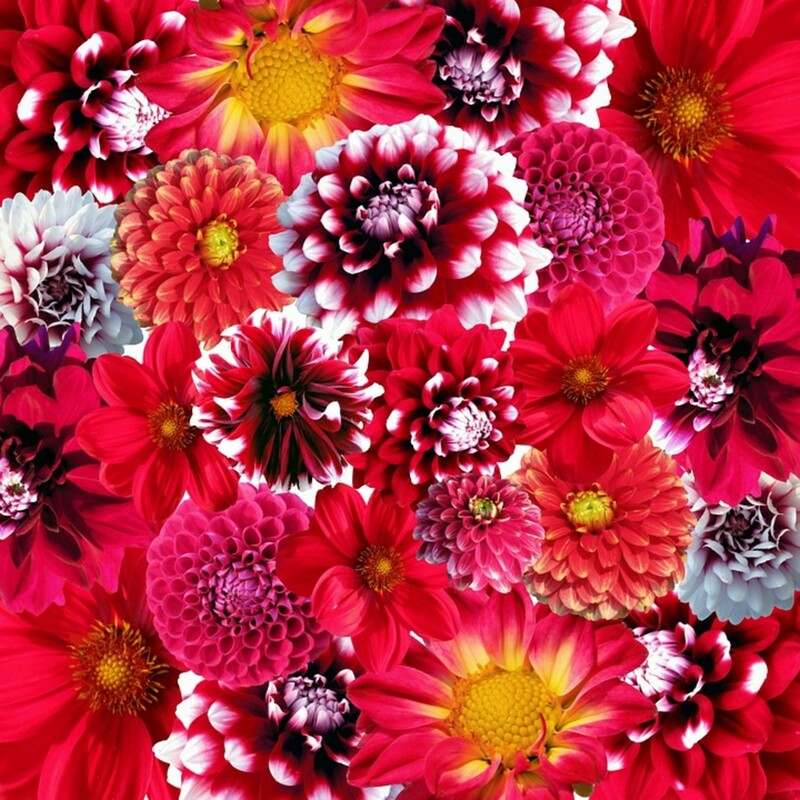 The stunning colors and textures of dahlias make them the delight of gardeners. Periodic feeding of fertilizer high in potassium ensures healthy blooms throughout the season. Deadheading also helps get more blooms. The tubers could be dug up and preserved for the next season when the plant blackens and fades after the flowering season is over. 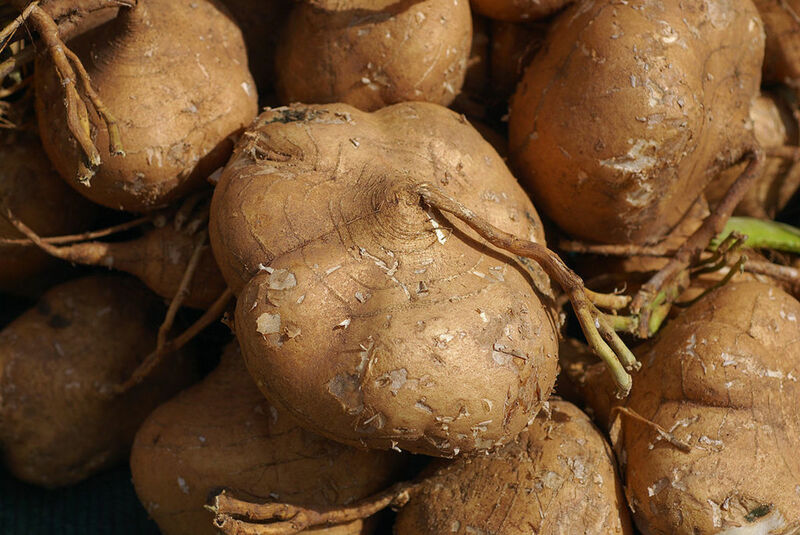 Clean the tubers, dry them in a warm shady place (never directly under the sun), and store them with peat moss in perforated containers or bags during the long winter months. In tropical climates, you could just leave them in the ground, and they will spring back again in the next growing season. After cutting dahlia flowers for arrangements, you can make your dahlias last longer by placing the stems in a jar of hot water. Make sure you have at least 2 inches of the flower stalk in the water, not any more than that. Allow the water to come to room temperature in a non-heated place before you arrange them. The immersed part of the stems look a little browned out, but the flowers last for almost a week and stay as gorgeous as ever in a vase. Did you know that dahlias are edible? However, I personally think that the ornamental value of the flower far outweighs its value as a food. Dahlia tubers were first used in the treatment of diabetes. 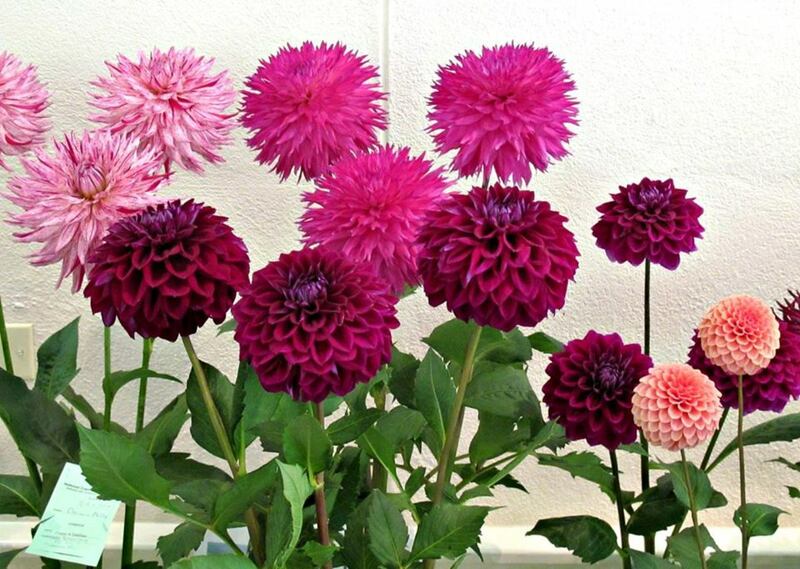 Do you think you could grow dahlias in your garden? The buds and flower heads of my dahlias became mushy and brown starting in late August. Can I save the tubers for next year, or should I consider them ruined due to the mushy brown flowers? It shouldn't affect the tubers. If the plant is affected cut the affected portion and let it remain in the ground until the stump dries off. You could then harvest the tuber and preserve it for another season. Can I leave my tubers in the pot itself? Will they grow? It depends on your climatic conditions. In the tropics, we leave them as they are and in due season the come right back. In colder climates, you may have to overwinter them. Which season is best for dehlia plants here in Pakistan ??? can I transplant some of my dahlia bulbs even when they are still blossoming? Dahlia have always been one of my favorite flowers. Beautiful hub and lovely photos! Dahlias are exquisite flowers. Thanks for sharing how to grow these beautiful flowers, too. Wonderful photos! I love Dahlias! We had them in our yard when I was a child. Mom would trade with others with the tubers for different varieties. Your first photo of the orange one with darker sprinkles of color is so unusual, I have never seen that one before! I think back in the 1950's we had about 10 varieties. There were probably more, but that is what we had. Great Hub! Very beautiful pics. I am sure that good photographic equipments were used for this photography. AmyEliza, Thanks for taking the time to stop by. I appreciate it very much. Have a lovely day. These are my favourite flowers. My Nana used to grow them in her garden. Glad I saw this post. Great insight! Mujtuba, I am honestly unaware of making different color combinations with a couple of tubers... but may be well worth the study.. will let you know if I come across such information.. Have a great day! Thanks Will for stopping by. Maybe someone will when they read this! I have written most of what I know here! Have a great day! There you are spying my dahlia's !! Thanks for admiring them.. The dahlias are back again..but the buds seem much smaller this time.. I have already fixed the supports.. hopefully I will have more pictures to show.. Thanks for the hint.. Cutting out the side buds always ensure bigger flowers, but I would still take precautions with the support, who wants their baby to bend and break!! LOL . Thanks for you kind comment. have an awesome day! Such lovely photos. We used to have a large section and had lots of dahlias. I used to pick out the tiny buds to try and allow the bigger central bud to grow well. It did stop them bending and breaking until wind and rain would break the stems with the weight of the flowers. Your opening photo caught my attention and let me to reading your hub. (and all the photos are gorgeous). I bought a dahlia plant earlier this summer and it was so pretty. Unfortunately, we had a very hot summer and it got a bit neglected so it ended up dying. Congratulations on Hub of the Day. Gorgeous Photographs! I love all of your tidbits and the vibrant colors you've captured. Congratulations on a well deserved Hub of the Day! Hats off to the photography and the idea of choosing this topic. Great hub! It was entertaining as well as informative. Wow, this is amazing.. I am so overwhelmed. I just want to tell everyone who has commented that this means a lot to me.. and I honestly appreciate your every comment. Thank you from the bottom of my heart. I wish I could write to each one separately but that seems a bit too much..since I am not in the best of health at the moment. I want each person to know that I greatly value your comments . I love Dahlias. These flowers are so beautiful. We have several varieties of Dahlia plants at my Parents place. I flasback to my childhood after I read your hub. 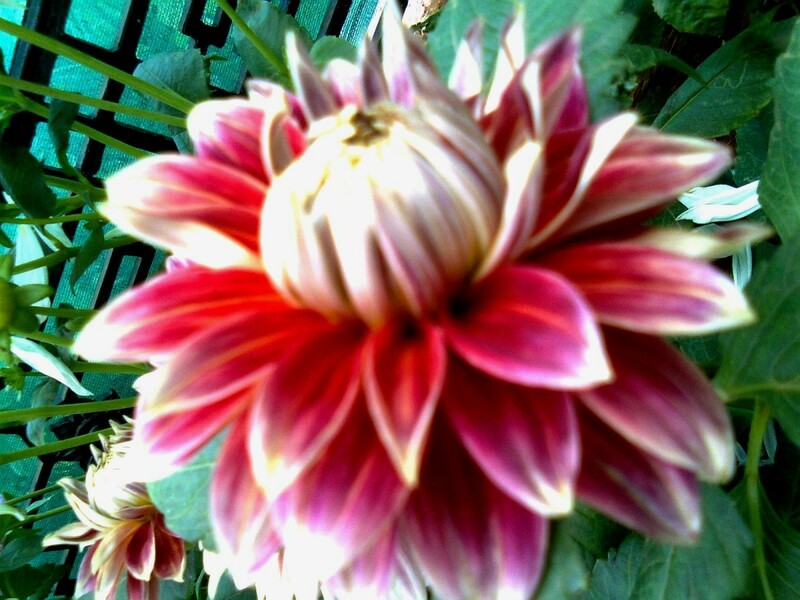 There were many type of dahlias at the fench at my home and neighbors'. Vote up!! 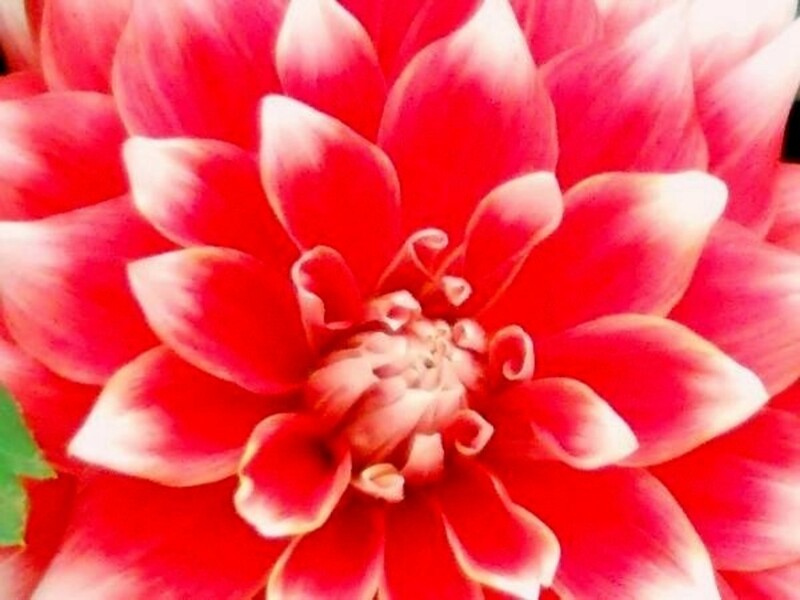 What a comprehensive and interesting hub about dahlias. I had no idea there were so many varieties of dahlias, or that they were edible, or that the dahlia tubers were first used in the treatment of diabetes. 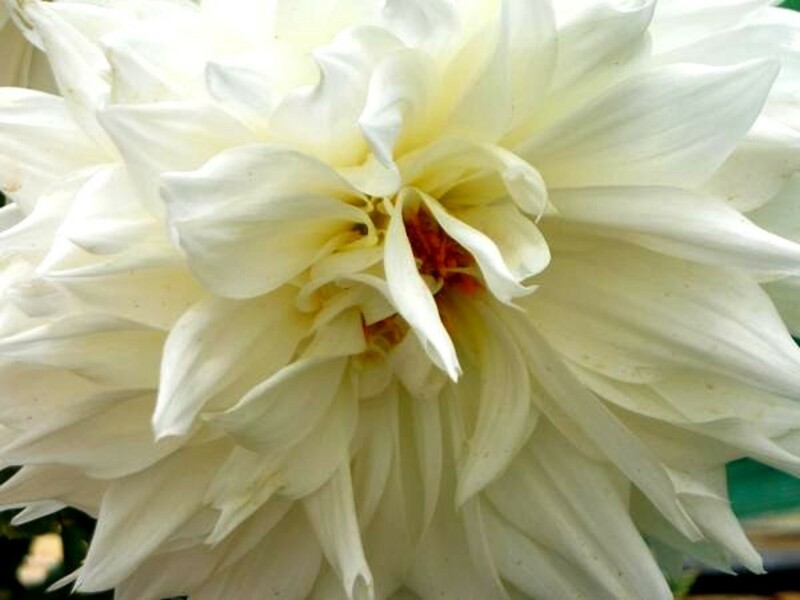 Your photos are stunning and a great inspiration to go out and grow my own dahlias. Thanks so much for sharing this hub. Voted up across the board except for funny. Dahlias are really gorgeous flowers, and you have taken some beautiful pictures to show off their beauty. Dahlias were one of my grandmother's favorite flowers. Those flowers are soooo beautiful!!! Congratulations on being selected as hub of the day. Gorgeous photos of my favorite flowers. Great hub. Congratulations on Hub of the Day! Your photographs are stunning! I always loved dahlias, but now I must grow them. You make it sound easy... Great hub! Masterful work, from the champion of flower capturing! Great hub. These flowers are so gorgeous and I had no idea that there were so many different kinds. You taught me a lot I didn't know. 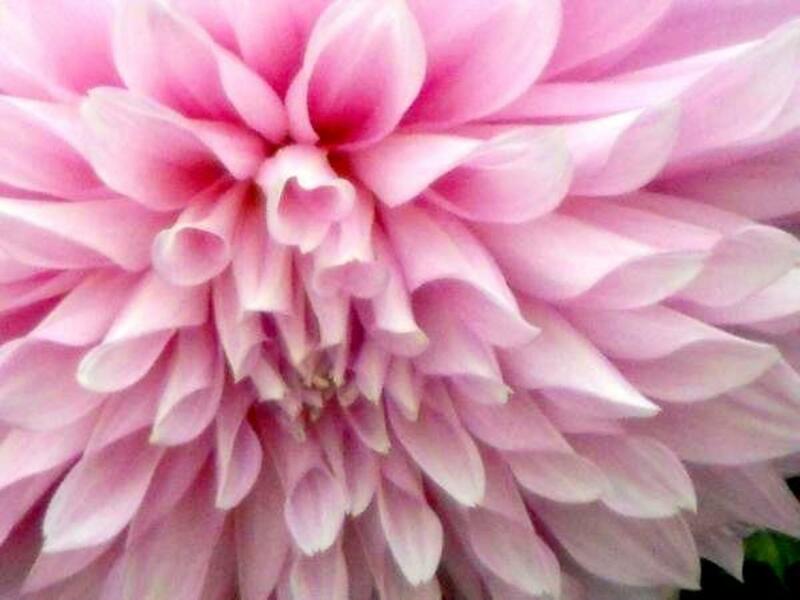 Well done on your hub of the day, an interesting piece with stunning pictures - your dahlias are absolutely beautiful! Can I just remind readers that the single-petalled varieties of dahlia are better for bees and other nectar feeding insects than the pom-pom or double-flowered varieties, so it's a good idea to include some single types in your collection. They might not be quite as showy, but are still very beautiful. Great tips and beautiful photos! This is a wonderful resource. Congrats on getting Hub of the Day! Congrats on your hub being chosen as Hub of The Day! I have always loved dahlia's but never knew that they were edible. I've always stored the tubers in a brown paper bag in my basement. Do you think that this hurts them at all? I have heard my grandmother mention them, but I do not rememember her growing any. She probably did. But the pics show a beautiful flower. I wonder if flower boxes work well with these plants. I would assume they do not grow well in rocky soil. Congrats on Hub of the Day--I should have seen it coming. Looking at the photos again--just amazingly beautiful. Such a special flower that you've highlighted! Beautiful photos. I didn't know that you can place cut flowers in hot water..wouldn't it damaged the stalk? That's fantastically pretty, I never realized dahlias were so beautiful. 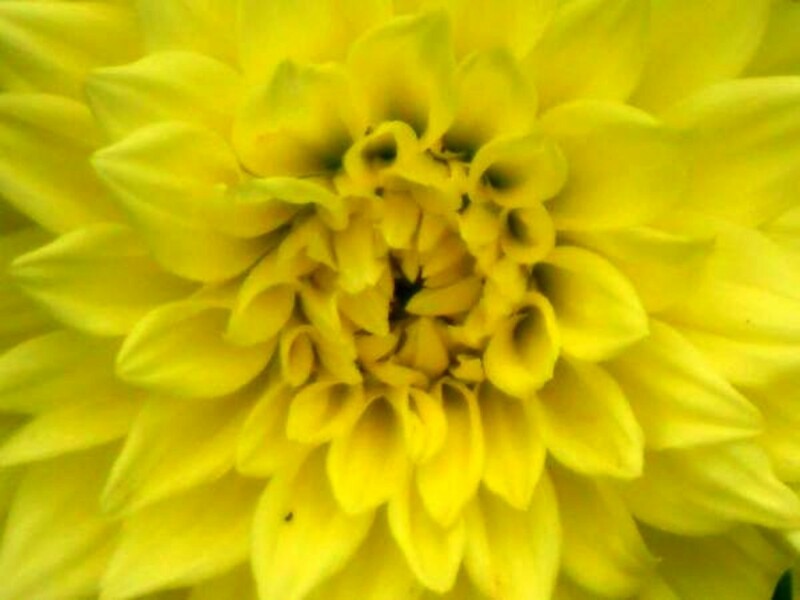 Great hub :), really worthy of being the hub of the day!love the dahlia pictures. Congratulations on your hub of the day. My husband use to grow dahlias and they were beautiful. They soon became one of my favorites. I didn't know they were edible though, interesting hub. Loved those pictures..so nice that u have all these at your garden..
Hello sofs, Congratulations on Hub of the Day! beautiful pictures keep it up! P.S. Kudos on being chosen Hub of the Day! Thank you RTalloni, dahlias are beautiful and are truly photogenic. Thank you for the read and comment, I hope you are inspired enough until the next season.. :) Best wishes to you!! These are beautiful photos! I love dahlias, but have trouble growing them. I want them in my garden and to use as cut flowers, though, so you've made me start planning for next year now so I can maybe have better success. Thanks so much for sharing these and for the tips and tricks! Thank you Tsmog, Darknlovely and MsDora. It is a pleasure to hear form you. I appreciate the read and the comments. God Bless!! Beautiful content, beautiful pictures. 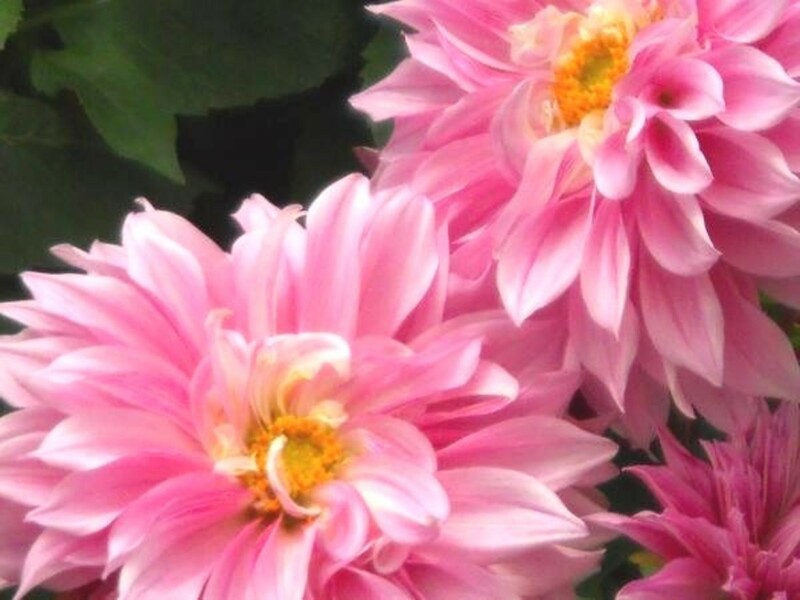 Thanks for this sharing these useful facts on dahlias. Voted up and useful. Great Article, brought a smile to me as I peeked through the home office window looking at my dahlia. I never pull up the tubers, yet it blooms every year. It is a favorite. sofs, once again you have come up with a masterpiece of information enhanced by fantastic and beautiful images. you never fail to impress. Thank you for sharing. Nice read and great photos, thanks. Where I live it's tricky trying to keep Dahlia tubers over winter. If we store them outside they freeze, and if we bring them inside they dry out. Really need a perfect spot, like a cool basement that's not too damp to get them through the winter. Some just leave them in the ground and pile mulch on top. If planted near the house this sometimes works. This is a beautiful smile maker, especially when I thought of the latest friend Kylie and Teddy had made in my series. You have such a gift with floral photography and the sharing of information. Voted UP & UABI-- have a peaceful day, mar. Mega1, thanks for the read. I am glad that you love Dahlias so much. Here is one more tip, wash (without scrubbing) the tubers and dry and preserve them until the next season.. the plant your tubers in early spring in pots that can be taken indoors if there is a threat of frost and move the plants to your garden once they have grown big enough to transplant them. This way you will have a longer flowering season and bigger flowers can be obtained by pinching off some of the branches and buds. Good nutrition and watering is the key. Letting the tubers be in the ground causes them to divide faster, you end up having more them but too weak and less productive for the next season. Hi Sofs, oh how I love your love of flowers! 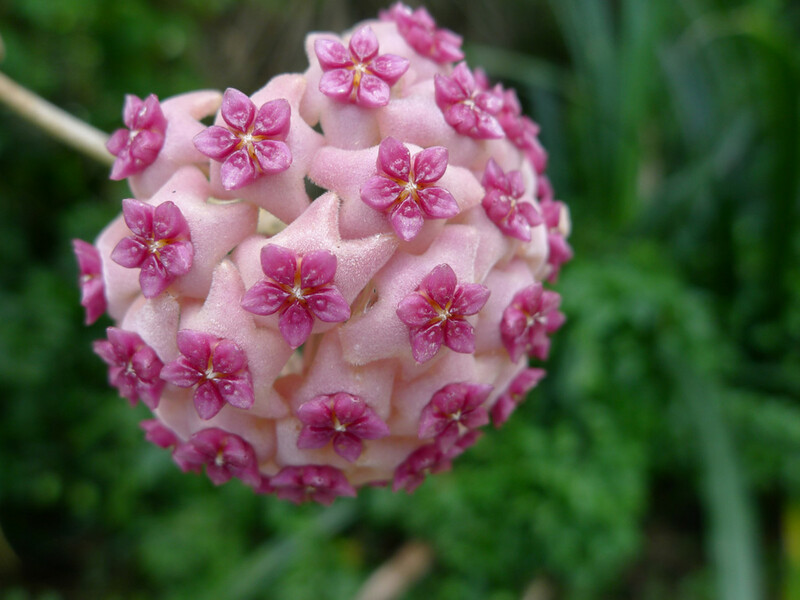 Your hubs and photos are amazing, thank you for sharing your hub of one of my favourite flowers. Hi sofs. Thanks for the guide on growing dahlias. Nice photos by the way. Lovely, lovely flowers. And they do sound really quite easy to grow! What could be better than that? sofs, Dahlias are very beautiful. Your article is informative. I didn't know you could store them in peat moss in winter months, nor did i know they were edible, not that i would ever eat them, i'd much rather look at them. Thank you for sharing. Although this is wonderfully done, but there is always a room for improvement! I adore my dahlias - they are a miracle. They and the lilies are real show stoppers. I didn't know I was supposed to take them up and put them in peat moss, maybe that explains why some are a bit smaller this year. I left them in the ground for 2 years. I have photos of mine too, they seem to invite closeups. For little effort they sure do a wonderful job of brightening our world. Thanks for this lovely hub. Diane Lockridge, Thanks for that very encouraging comment. I truly appreciate the vote up too. God Bless!! 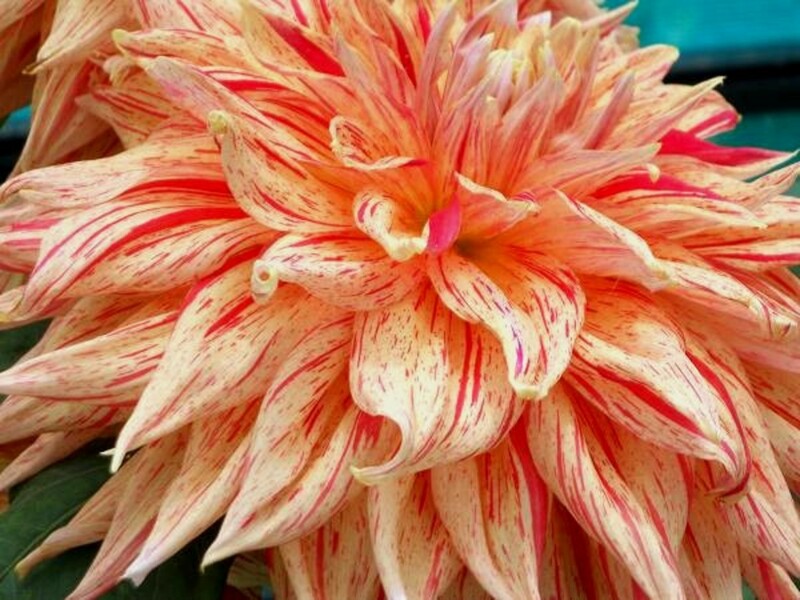 Wonderful photos of your show-stopping dahlias! I used to grow the tall ones up north years ago. They are truly beautiful. Thanks! This is a great hub and the photos are just amazing. The information you give is excellent. How to keep the tubers over winter was a really handy tip, I didn't know how to do this. Great hub! Interesting info and BEAUTIFUL photos. Good job, voted up!